If you are new here, allow me to introduce myself! 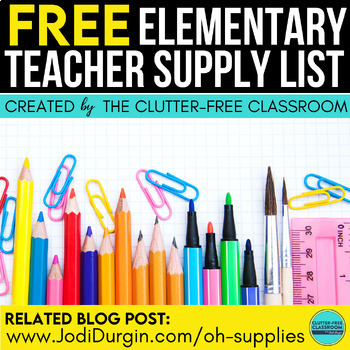 I'm Jodi and I am the face behind The Clutter-Free Classroom. 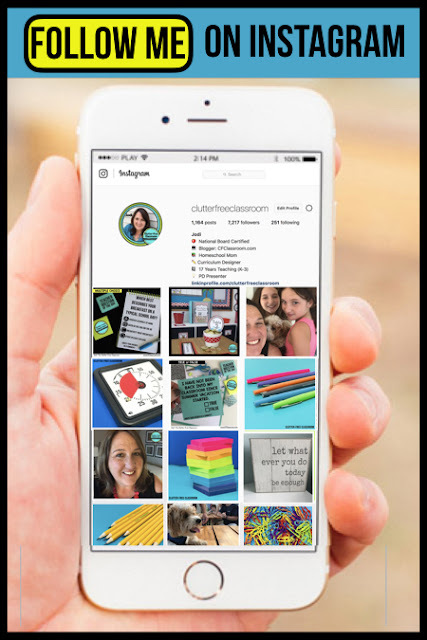 You can learn lots more about me by clicking on the link over on the right sidebar and/or by following me on Instagram. 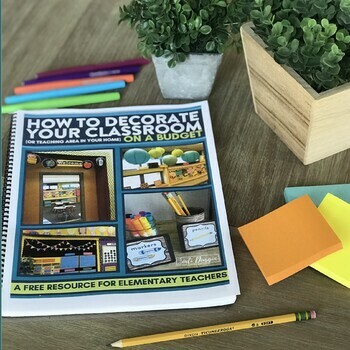 I've been a teacher blogger for over a decade so there is a HUGE library of helpful info that can be right here on this blog. 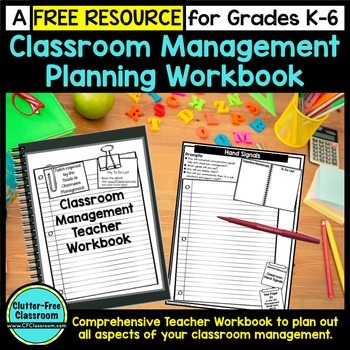 I specialize in classroom organization, classroom management, classroom decor and high-quality resources for 1st through 5th grade. I welcome you to grab any or all of these freebies found here. 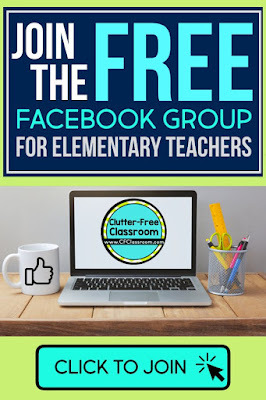 I also host a FREE Facebook Group for Teachers. It is a place for you to ask questions and get answers that will help to make the important work you do each and every day easier. Of course, you are welcome to just read along too. The Clutter-Free Classroom Facebook Group - Solutions for BUSY Teachers is a very supportive and friendly community. We would love to have you join us.